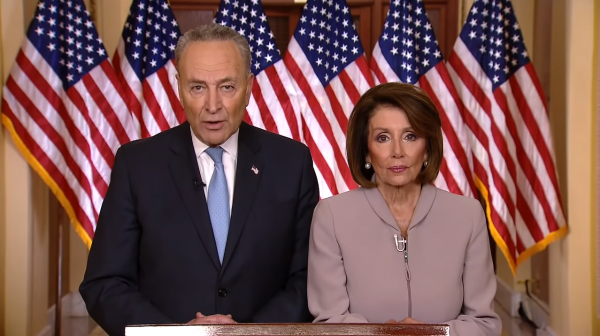 The Democrat Party “has been hijacked,” according to an award-winning writer and author in an Op-Ed that appeared earlier this month, and with Speaker Nancy Pelosi at the helm, there does not appear to be a course correction anywhere on the horizon. Since the column was published, a Cape Cod woman was charged with disorderly conduct and assault and battery for an incident in which she allegedly assaulted a man at a restaurant for wearing a “Make America Great Again” cap. That happened last week in Falmouth, according to WFXT in Boston. In Connecticut, a Democrat state lawmaker has just introduced legislation that raises a tax on ammunition by 50 percent, according to Fox News. Freshman Rep. Jillian Gilchrest (D-Hartford) wants the ammunition tax hike as a “prevention measure” to violent crime. She reportedly promised a companion bill was coming in the Senate from another freshman Democrat, state Sen. Will Haskell. Democrats in Oregon and Washington are pushing all sorts of restrictive gun control measures now that they have legislative majorities in Salem and Olympia, respectively. California and New York are also dominated by Democrats, and are doing likewise with gun control legislation. Democrats have their sights set on 2020, hoping not only to be able to replace Donald Trump in the White House but also to take control of the Senate. Right now, the Republican-controlled Senate is the only thing keeping House Democrats in check. Should that change in 2021, many gun owners are fearful that their rights would shift from being under fire to under siege.